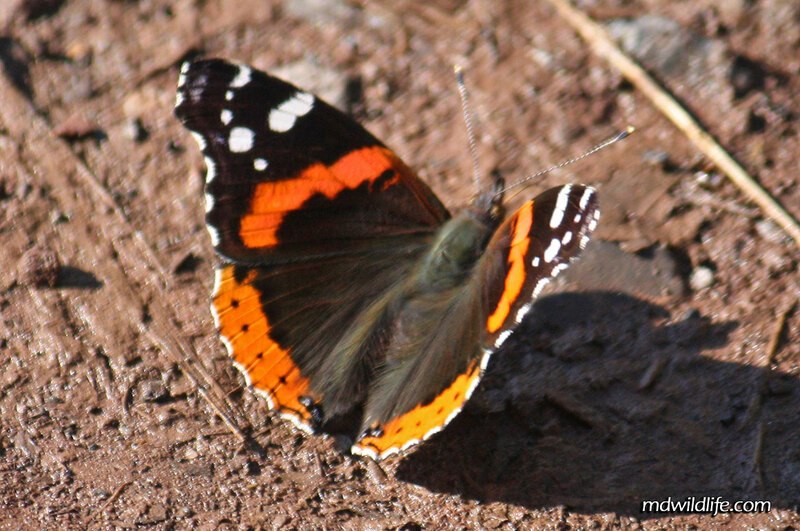 The Red Admiral can have a striking, bright color scheme. 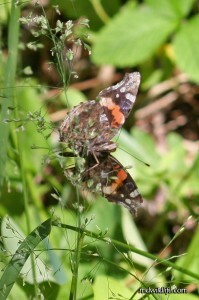 The Red Admiral (Vanessa atalanta) is a distinctive brushfoot and very unique in the state of Maryland. 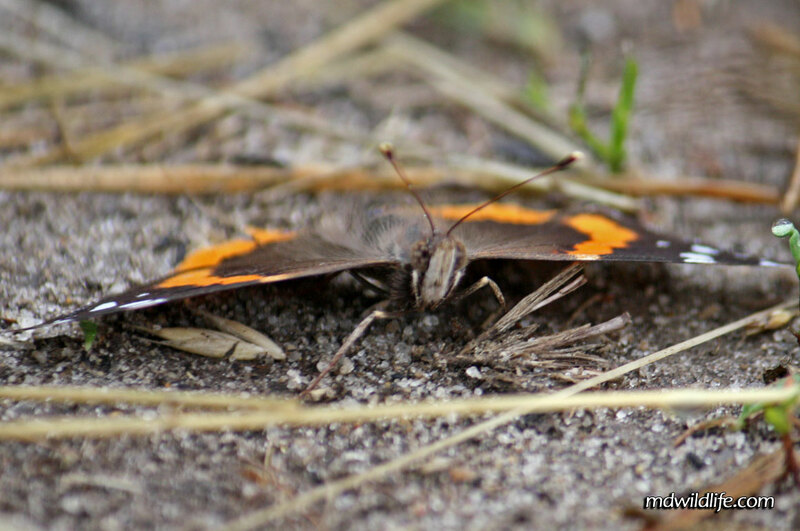 The Red Admiral has a very gray underside to its wings. In flight, it can sometimes look like one of the Lady butterflies, but at rest, the Admiral is immediately recognizable as no other butterfly in the area has an appearance that even comes close. The Red Admiral is adundant throughout the state. I don’t think I can remember a WMA I walked through where I didn’t come across the Red Admiral. It’s also found in almost all environments, from woods, to fields, to marshes, to suburban areas and roadsides. These brishfoots have a large migration path, spread from Canada to the east coast and range north into Canada. The flight path of the Red Admiral is pretty erratic and it will even come close to you, if you walk within its line. The Red Admiral will land on the ground, on roads, on flowers or leaves, so it provides many opportunities for photographs. The long “red” markings on the admiral’s wings can appear to be different shades of orange, and an individual specimen can appear dull or bright. The underside of its wings is very dull and gray, but at rest, blue and red markings are clearly visible at the tips of the wing. The face and eyes of a Red Admiral butterfly.